Attend one of our frequent Site Management Safety Training Scheme (SMSTS) and Site Supervisors’ Safety Training Scheme (SSSTS) courses in Dartford and expand your knowledge of the latest construction health and safety legislation at either supervisor or management level. 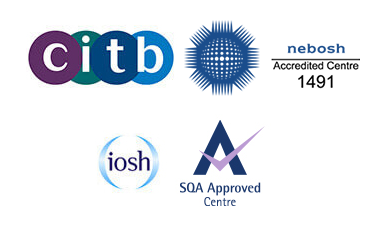 Our Dartford SSSTS and SMSTS courses are CITB approved. SSSTS courses are designed to provide new or existing UKCG site supervisors with everything they need to know about the latest safety legislation, and the procedures they need to follow onsite at all times. The programme covers risk assessment procedures, occupational health hazards, site regulations and how to ensure your practices comply with the Reporting of Injuries Diseases and Dangerous Occurrences Regulations (1995). Attendees will learn about all relevant industry standards and will take part in practical exercises in order to demonstrate their knowledge. The programme will close with a multiple choice exam. Our SMSTS training courses in Dartford cover a broader range of topics and are suitable for construction site managers who oversee company processes and the safety of their employees. You will need to attend the entire 5 day course in order to gain your SMSTS qualification (with no exceptions). Here at Target Zero, we’ve made it our mission to attend to all of your safety training requirements. You can book places on all of our courses online. For more information on our SSSTS and SMSTS training courses in Dartford, or to discuss the wide range of other programmes on offer from our company, don’t hesitate to contact us today. Stone Pavilion is easily accessible via road; the venue is just a stone’s throw away from the M25 and is located close to the popular Bluewater Shopping Centre. There is plenty of car parking onsite and refreshments can be purchased if required. Looking to book a course? Get in touch with a member of our team direct on 0333 444 0018, or click here to book online.